The Original Magnet Frame by Canetti is made of two panels of solid, clear acrylic, attached by tiny magnet points. Acrylic panels are 7/16" thick, which makes a ⅞" thick block when put together. Frame edges are tinted with translucent color. This frame can hold photos up to 2½" x 3½" (wallet-size) photos. The concept behind Canetti frames has always been to create a “frameless frame” in which the frame does not detract from the photo or object being displayed, but rather shows it off to its fullest. Over 30 years of design innovation has led to their ultimate product, the Original Magnet Frame. 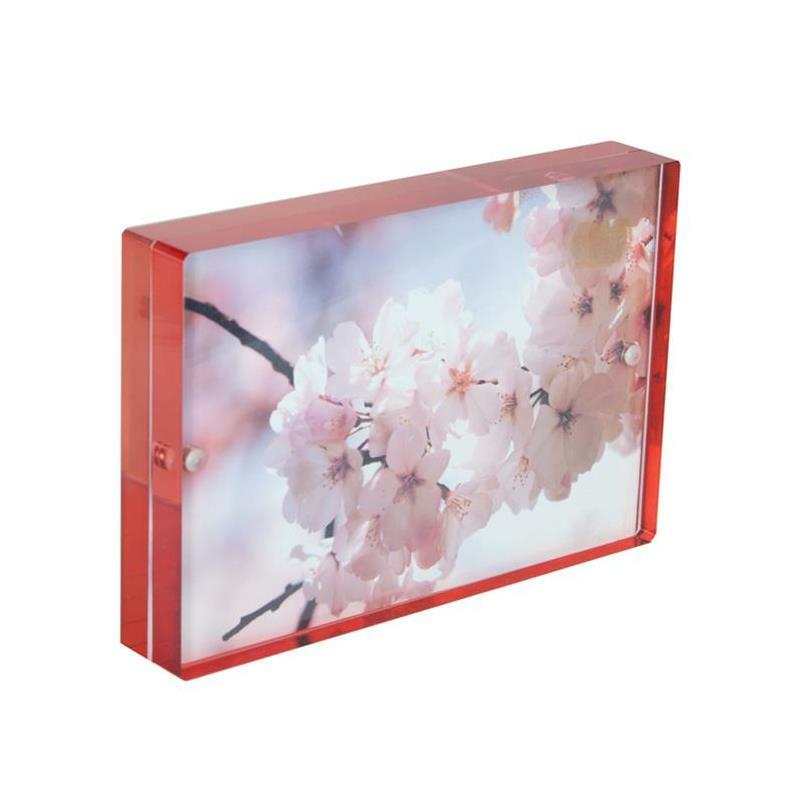 The embedded magnets attach the acrylic front panels to the backing panels for an elegantly-streamlined picture frame.